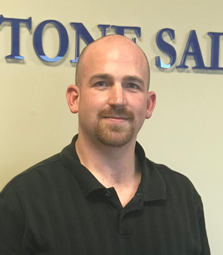 (Pottstown, PA — February 27, 2018) Keystone Sales & Associates (KSA) announces the hiring of plumbing, heating, ventilation, and air conditioning (PHVAC) industry veteran, Paul Thieberger, to the position of Territory Sales Manager. Thieberger is charged with expanding the company’s reach in Virginia and North Carolina effective immediately. An alumnus of Bridgewater College, Thieberger began his career with Southern Refrigeration Corporation and most recently served as Outside Sales Representative for R.E. Michel Company. In these roles he mastered purpose-driven sales, sales prospecting, and customer service training. In addition to the acquisition of Thieberger, KSA recently secured the exclusive rights to represent Bosch PHVAC products in North and South Carolina.